Could you please ID this problem? 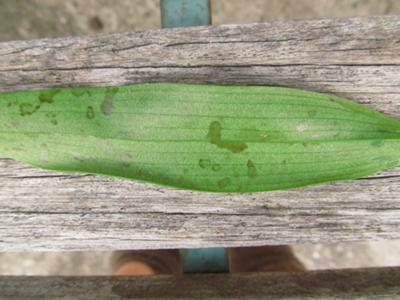 I have brown sticky marks on the underside of my Dendrobium Hybrid leaves. I noticed it a week ago and have sprayed with Mancozeb. I would like to know what I can use to kill it. Return to Ask A Question.